March 8-9, 2019. “Arab playwrights in Berlin.” Seminar on Arabic literature and translation, American Comp Lit Association, Washington, DC. March 12, 2019, 12pm. “Sindbad Goes to Kiev: Why Study Arab-Soviet Literary Flows.” Princeton University Department of Near Eastern Studies and Princeton Institute for International and Regional Studies. March 22, 2019. World Languages & Literatures Pedagogy Symposium, Boston University. April 13, 2019. “Why Mephistopheles Never Got Egyptian Citizenship.” World Languages & Literatures Big Fat Books Symposium on the Faust tradition, Boston University. Feb 7, 2019. “Sindbad Goes to Kiev: Literary Traces of Arab Lives in Motion.” Connecticut College, New London. Feb 1, 2019. “Whose Arabian Nights? Storytelling and Performance Across Cultures.” Macalester College, St. Paul, Minnesota. December 2018. “Roundtable: Sourcebook on Arab-Russian and Arab-Soviet Literary Ties.” With Eileen Kane and Masha Kirasirova, Association for Slavic, East European, and Eurasian Studies, Boston. December 2018. “The Obshchiaga as a Synecdoche for Late-Soviet (Literary) Internationalism: Evidence from Four Soviet Dormitory Novels,” Association for Slavic, East European, and Eurasian Studies, Boston. November 2018. “Another East: Arabic Literature’s Soviet Archive,” Middle East Studies Association, San Antonio. August 2018. “Syrian Playwrights in Berlin,” Association for Theatre in Higher Education, Boston. Published in Theatre Journal (Dec 2019). For the year 2017-8 I was based in Berlin as an Alexander von Humboldt fellow with the Europe in the Middle East-Middle East in Europe program. June 13, 2018. “Arabic Rewritings of Tolstoy’s Kreutzer Sonata.” Berliner Seminar, Europe in the Middle East-Middle East in Europe, Wallotstraße 14, Berlin. May 24, 2018. “Sudden and More Strange Return: When Arab Shakespeare Comes into English.” Keynote speaker at Texts and Events across Borders, conference of the Erasmus Mundus joint doctoral programme TEEME (Text and Event in Early Modern Europe). Berlin. May 14, 2018. “Afterlives of Beethoven’s ‘Kreutzer Sonata’: Tolstoy, Salim Qub`ayn, Rita Dove.” Humboldt University Insitute for Slavistics spring 2018 seminar on music & literature, Berlin. March 22, 2018. “Hamlet, Friend of Arab Democracy.” Bogazici University, Istanbul. Hosted by Emine Fisek. With Ethan Guagliardo, İnci Bilgin Tekin and Melis Günekan. March 6, 2018. Research talk, ZMO-Berlin. January 16, 2017. Workshop on Structures and Legacies of Soviet Student Dormitories. Co-led with Susanne Frank of the Humboldt University Institute for Slavistics. Forum Transregionale Studien, Wallotstrasse 14, Berlin. Organized by the Forum’s Prisma Ukraina program. November 22, 2017. On Egyptian writers visiting Soviet Moscow. East European History Colloquium, Humboldt University, Berlin. March 24, 2017, World Languages & Literatures Symposium on Pedagogy, Boston University. February 8, 2017: International history workshop, Columbia University. MLA 2017, “Boundary Conditions”: Philadelphia, Jan 5-8, 2017. Panel 622. Literary Encounters: The Soviet Union and West Asia. Saturday, 7 January, 3:30–4:45 p.m., Independence Ballroom Salon III, Philadelphia Marriott. Program arranged by the forum LLC West Asian. Presiding: Anindita Banerjee, Cornell Univ. 1. 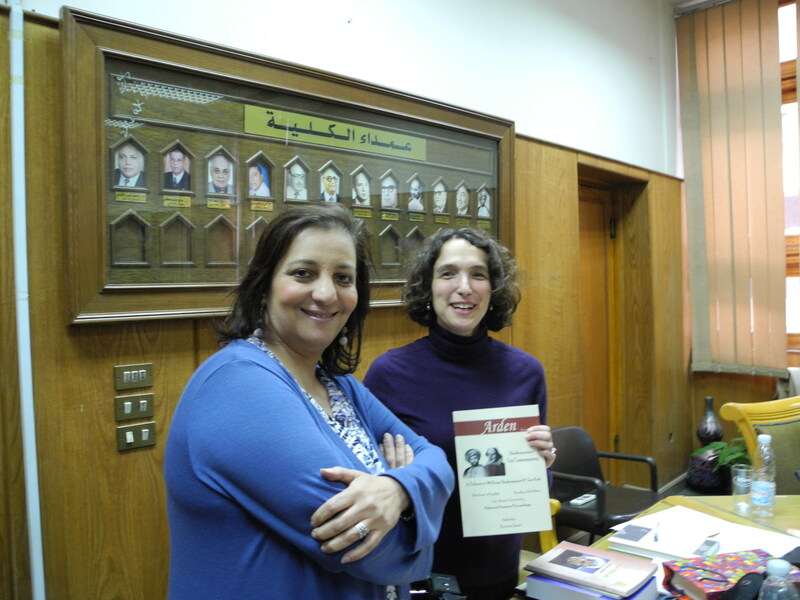 “Reading Tolstoy in Palestine: Tolstoy’s Kreutzer Sonata as a Coal Mine Canary,” Margaret Litvin, Boston Univ. The USSR was socialist internationalism’s “Red Mecca” for much of the twentieth century, successfully posing as both a role model and a mentor to progressives from the East, including the Arab world. With methods drawn from political and intellectual history, philology, and literary criticism, this interdisciplinary panel investigates several sets of cultural prehistories that made such a connection appear plausible. We ask: While being careful not to tell a simplistic story positing centuries of Arab-Russian friendship, is it possible to trace any real continuities? Does the recently identified overlap between “Orthodox and Communist” (Mack 2015) have meaning beyond Palestine? To what extent and how did Soviet cultural diplomacy build on a long history of Arab curiosity about and travel to Russia, Arab religious connections to Russia through Orthodox Christianity, and Arab engagements with Russian literature? This panel contributes to a timely and growing scholarly conversation (with successful panels at MESA 2012, MLA 2106, and several Slavics conferences) about Russia’s cultural status in the Arab world. October 10, 2016. “Who cares about Arab-Russian literary ties?” Inaugural in-house symposium, Department of World Languages and Literature, Boston University. In 2015-6 I was based in Sweden as an ACLS Burkhardt Fellow at the Swedish Collegium for Advanced Study in Uppsala. In Summer 2016 I began an Alexander von Humboldt Fellowship at EUME in Berlin, to be continued during the summer and academic year 2017-8. June 2016: “Another West or Another East? Arab Intellectual Life in Soviet Student Dormitories,” MLA International, Dusseldorf, Germany. June 2016: “Taking Refuge? Arab Migration on Scandinavian Stages.” IFTR, Stockholm. August 5, 2016, Kings College London. Discussant for the Arab/ic panel at the World Shakespeare Congress. April 22, 2016, Shakespeare’s Globe Theatre, London. “Why Make Political Theatre In Dark Times? Arab/ic Shakespeare Reaches for Europe.” Part of a daylong workshop on Intercultural Shakespeare Performance. Attracted to the Orient and ambivalent about European modernity, Leo Tolstoy (1828-1910) made a perhaps paradoxical bearer of modern literary forms. Why, then, did Arab readers receive him as a great harbinger of social and artistic progress? Why did the Mufti of Egypt write to inform him, “The light of your thought has illuminated us, and the suns of your ideas have risen in our skies”? Why did The Kreutzer Sonata, a bizarre polemical novella, get translated into Arabic long before any of Tolstoy’s other fiction? On Tolstoy’s death in 1910, why did Arab poets compete to eulogize him? And how did later Arab writers deploy his oeuvre and his personal legacy? Attending to the contingencies and ironies that mark all international literary reception, this talk will explore some of the resources that Tolstoy’s long and tangled career offered to would-be modernizers of Arab societies and Arabic literature. April 28, 2016, Postcolonial Seminar, University of Cambridge, UK. On Arabic Shakespeare. April 5, 2016. “Approaches to Intercultural Literature.” Presentation to Litteraturvetenskapliga institutionen, Uppsala, Sweden. February 16, 2016. “Arabs and Other Foreigners in Moscow Dorms: Echoes in Literature and International Relations.” Uppsala Centre for Russian and Eurasian Studies, Uppsala University. Feb 2, 2016. “Unify and Conquer: The Metaphor of the Body Politic.” Litteraturvetenskapligt forskningsnätverk (LILAe) workshop on rhetoric. December 10-11, 2015. Discussant, workshop on “What’s in a Year? Reflections on 1967.” Research group on Figures of Thought: Turning Points, Cultural Practices, and Social Change in the Arab World, Center for Near and Middle Eastern Studies, Philipps-Universität Marburg, Germany. December 8, 2015. Spectators to their Own History: Sonallah Ibrahim and Mohamad Malas, Moscow 1973.” Seminar for research group on Figures of Thought: Turning Points, Cultural Practices, and Social Change in the Arab World, Center for Near and Middle Eastern Studies, Philipps-Universität Marburg, Germany. November 24, 2015. “Shawqi’s Arabic Elegy for Tolstoy.” Uppsala University Semitiska Seminariet, Institutionen för lingvistik och filologi. November 17, 2015. “Arabic Shakespeare and the Global Literary Kaleidoscope,” Litteraturvetenskapligt forskningsnätverk (LILAe) seminar, Faculty of Languages, Uppsala University. October 28, 2015, Berliner Seminar for EUME: “Arab Intellectuals Encounter Another Europe: Sonallah Ibrahim and Mohammed Malas in Moscow.” Forum Transregionale Studien, Berlin. October 13, 2015. “Leo Tolstoy and the Modernization of Arabic Literature,” Profilseminarium inom Transkulturalitet vid Institutionen för språk och litteraturer. Department of Languages and Literatures, Gothenburg University (Sweden). May 14, 2015. Boston University. “True Stories from the Moscow Dorms.” At “Illusion and Disillusionment: Travel Writers in the Modern Age,” a Boston University Department of Modern Language and Comparative Literature conference on travel writing. Monday, November 3, 2014, 7pm. Panel discussion on Sayed Kashua’s hit sitcom Arab Labor with Kashua and Michael Loman, professor at the BU School of Communications. Photonics Hall, Boston University. 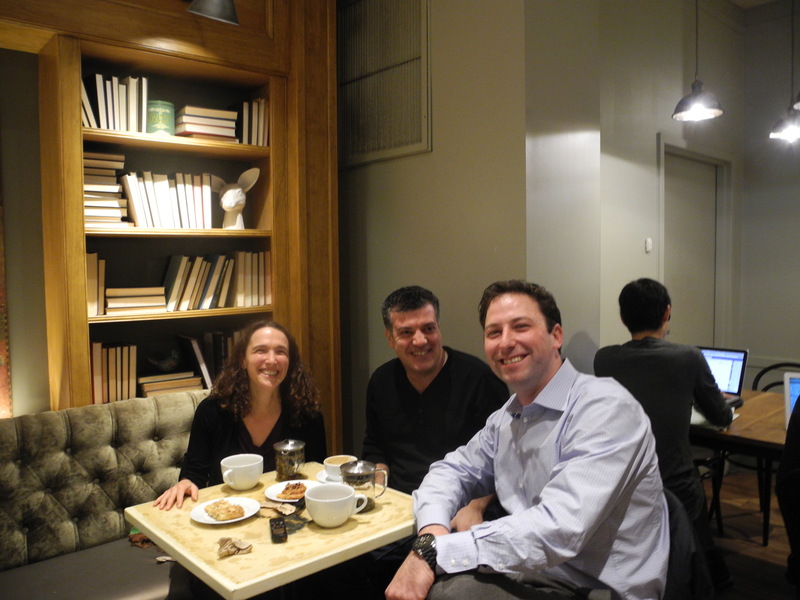 Also see the interview Simon Rabinovitch and I conducted with Sayed Kashua (photo below). Wednesday, October 1, 2014, 5pm. “Do American Students Need Global Shakespeares?” Wellesley College, co-sponsored by Wellesley College Shakespeare Society and Middle East Studies Program. Thursday, May 8, 2014, 2pm. ‘“Forgive me, Tolstoy!’: Russian Literature and Russian Reality in Arab Writers’ Lives.” Conference on Translation and Comparative Cultural Studies: East-West in Dialogue. At University of London: Institute for Modern Languages Research. Room 349 Senate House, South Block, Malet Street, London. Friday, March 7, 2014. “Do American Students Need Global Shaksepeares?” Part of Practicing the Future of Shakespeare Studies. Conference Organized by the Columbia University Seminar on Shakespeare. Seminar Room 1, Second Floor. The Faculty House, Columbia University. 64 Morningside Drive, New York, NY 10027. January 10, 2014, 8:30-9:45 am. “Sindbad’s Happy Wreck: ‘Global Shakespeare’ Meets ‘Arab Spring. '” Part of a panel on International Shakespeares with Alexa Huang, Anston Bosman, and Garrett A. Sullivan at the Modern Language Association annual meeting, Chicago. May 30, 2013, 4:30pm: “Egyptian Theatres of Revolution.” Husni Haddad Lecture (and talk in memory of Farouk Mustafa), University of Chicago, Center for Middle Eastern Studies. Stuart 105, 5835 S. Greenwood Ave, Chicago, IL. May 2-3, 2013: “Innocents Abroad: Sonallah Ibrahim and Muhammad Malas in Moscow.” At “Midans of the Self,” a colloquium on Sonallah Ibrahim organized by Elliott Colla and the Department of Arabic and Islamic Studies, Georgetown University, DC. 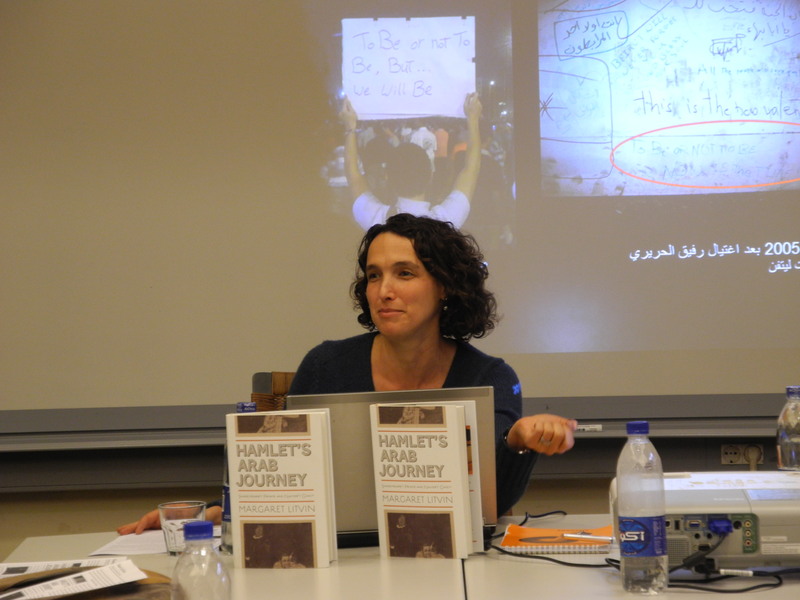 April 7, 2013, 6pm: “Arts in Protest: The Arab Spring.” Phillips Exeter Academy, Exeter, NH. March 1, 2013, 5:30-7:30pm: “The French Source of the Earliest Surviving Arabic Hamlet.” A talk on the Arab Hamlet Tradition at Harvard’s Mahindra Humanities Center seminar on Shakespearean Studies, William Carroll and Coppelia Kahn, chairs. 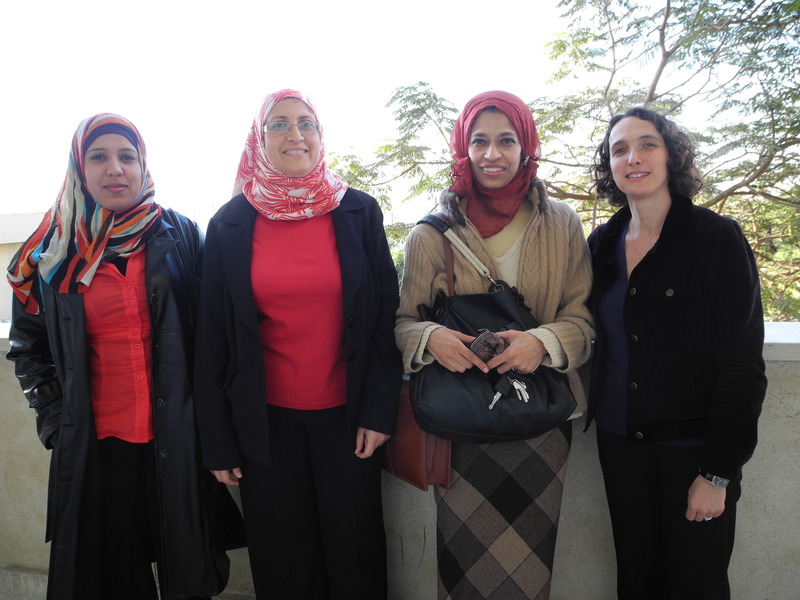 January 30, 2013, 12:30pm:“The ‘Arab Spring’ and the Arts”: a talk in the Boston University Alumni Association’s “Arts, Culture, and Ideas” lecture series. Paper, “Letters to Tolstoy: Arab Writers Between Prophesy and Fiction,” in session on Russian and Soviet Strands in Arabic Literature co-organized with Spencer Scoville. Photos (by Alex Huang and his indefatigable co-organizers) are here. December 15, 4pm at NYU Abu Dhabi conference on World Literature and Translation. 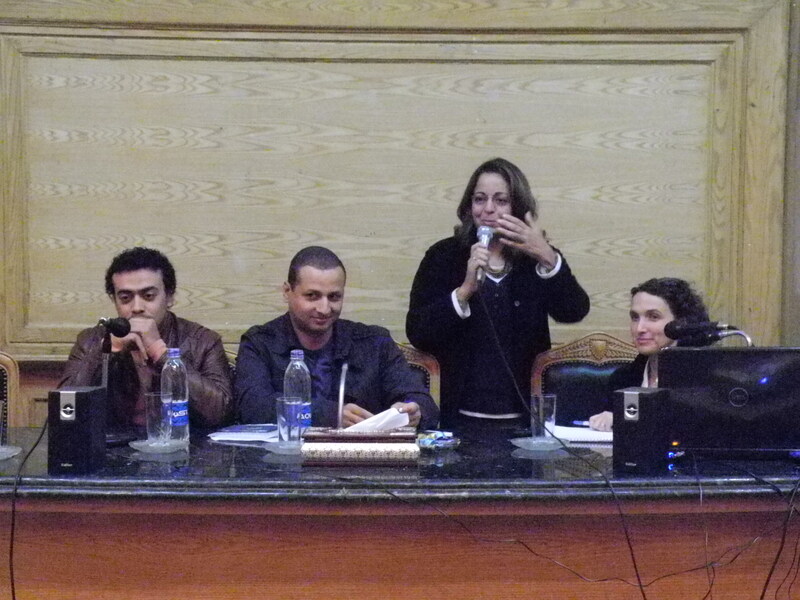 Panel on “Tragedy and Translation” (i.e. Hamlet and Oedipus!) with Philip Kennedy and Peter Meineck. Lecture series at universities in Cairo, co-organized by the respective departments with the Arabic Theatre Working Group of IFTR under the umbrella title: “Hamlet on the Barricades: Shakespeare in ُEgyptian Political Theatre.” These are all 45-minute talks followed by discussion, of which about 20 minutes are common to all the talks, and the last half focuses on a different case study each time. Thursday, December 8, 3:30pm at Helwan University, Comparative Literature department “نكون أو لا مكون؟؟” Shakespeare and Arab Revolutions. Video to come. Thursday, November 24, 4-5:30pm at Ayn Shams University Department of Drama: The Global and Local Sources of Mohamed Sobhi’s Hamlet. Saturday, November 19, 5pm at Cairo University, English Department. Workshop for theatre students at National Center for Theatre, Film, and Folk Arts (Hassan Sabry Street, Zamalek): “Arab Theatre Between Local Contexts and Global Audiences: Shakespeare as a Case Study” المسرح المصري بين السياقات المحلية والجماهير العالمية: شكسبير نموذجاً Not many of my original goals were realized, but the students were really sharp, and it was very thought-provoking and enjoyable exercise in cross-expectational communication in its own right! Conversation with playwright-director Sulayman Al-Bassam and Shakespeare scholar Graham Holderness at Boston University, Oct. 12, 2011 (hit launch EchoPlayer, sorry for weird recording quality), and at Paramount Theatre, Boston (click Extras), Oct 13, 2011.